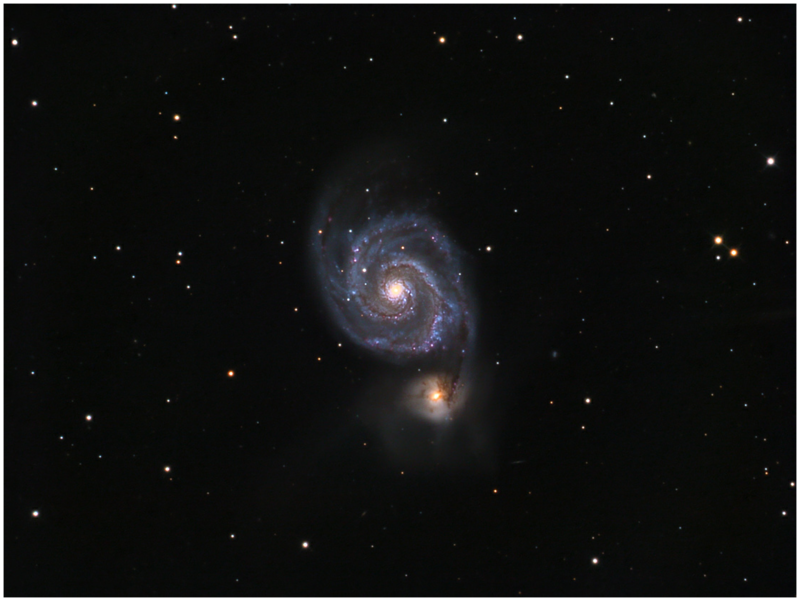 The “Whirlpool Galaxy” is approximately 23 million light years from Earth and spans 100,000 light years. A close encounter with the galaxy NGC 5195 has caused both objects to distort their shapes. Dust and matter are being pulled in a gravitational “stream” from the smaller galaxy to the larger one as the galaxies “collide”. Image acquired using Apogee A-8050 camera with Astrodon filter set with 10” AstroTech AT10-RC astrograph. 310 minutes of Luminance, 1x1 Binning.